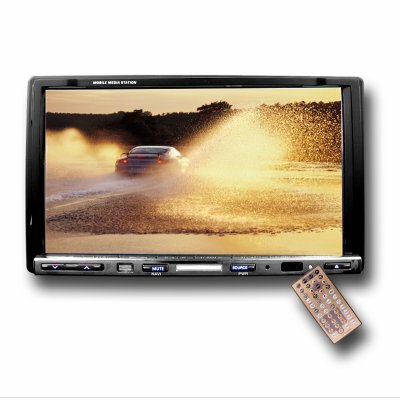 Successfully Added Complete 2-DIN Car DVD Media System with TV Tuner (NTSC) to your Shopping Cart. Complete 2-DIN Car DVD Media System with TV Tuner (NTSC). Car DVD player for the person who wants the most out of a vehicle entertainment system including AM/FM radio RDS function and an included analog TV receiver in for receiving television programs. This Car DVD player also include a super large 7 Inch TFT display with touch screen, the ability to hook up your own AV components, great 45Wx4 sound output, Subwoofer Output, SD card reader and USB port for convenient playing of digital files, Bluetooth pairing with your cellphone and more. A low wholesale price and great features make this a deal that you should not miss. Buy one for yourself and buy 3 more to sell on eBay or your own internet storefront - a great way to make some extra money and enjoy the latest in high-tech electronic gadgets. Order yours today!